“Hey, friends!” If you’ve been to any of the 100+ events Keisha Mabry has spoken at in the last year, you have probably heard this greeting shouted loud and proud. You read that right. Mabry is the creator and founder of heyFriend, a platform established to teach women of color how to build authentic relationships. According to Mabry she singlehandedly secured 100 speaking engagements in one year without an agent. Mabry was frustrated about the lack of hands-on instruction and tangible takeaways most conferences miss. She also noticed a lack of local events for women of color. These frustrations led her to create mastHERclass – a Midwestern conference for women of color. The kickoff event featured 12 75-minute master classes, led by influencers covering every topic from event production and sponsorship, brand building, finding one’s voice, creating content, and starting a business. In eight weeks, the event sold out with 250 attendees from 16 states; the majority local to St. Louis, Missouri. 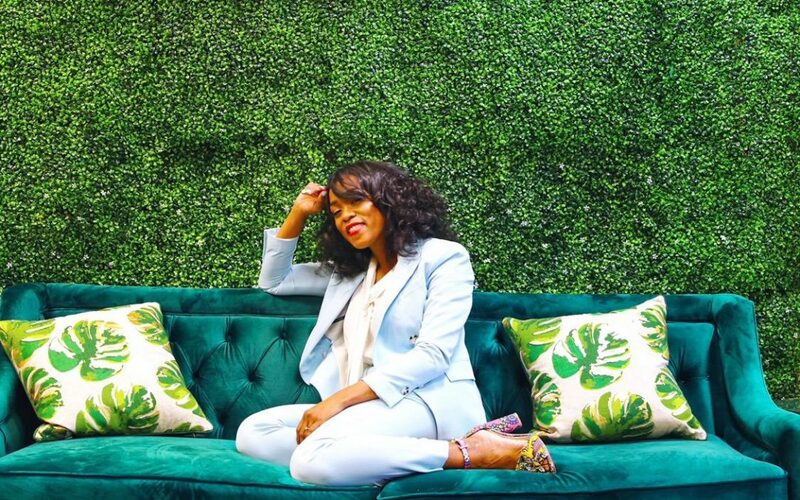 Mabry used her tools, resources, and investors to manifest an idea that began as a late-night conversation with girlfriends. The day kicked off with a master class led by Christina Brown of LoveBrownSugar. Brown’s session, “Building an Online Community,” provided ways to create and scale an engaging group online. She shared points such as choosing the voice with which you address an online community: Are you speaking as an authority or seeking advice? She also advised encouraging an online audience to comment and converse, and that a community manager should be flexible to grow with a community. For instance, Brown created her second community, BabyBrownSugar, when she became a mother, choosing to keep the two audiences separate as few of her followers were mothers. As LoveBrownSugar’s audience expands to include those raising children, the divide between her communities lessens, providing an opportunity for the two audiences to become one. Mabry led the master class, “Getting Into Speaking,” where she spoke about the importance of researching conferences, submitting to calls for speakers, and shared her own process: research, outreach, follow up, tracking progress—the basic sales cycle—and even recommended hiring an assistant as needed. Brown started off her master class with a reminder that there are habits and thought patterns to unlearn. She conducted an exercise that called for audience members to choose someone they look up to and call out five traits they most admire about them. Finally, she led attendees in a practice to assess and reduce their own negative self-talk. For more information on this year’s mastHERclass as well as the soon-to-be-launched HER talks, visit www.themastherclass.com and stop by www.keishamabry.com to find out where she’ll be popping up next.